4 Bdrm Detached Dwellhouse. Ground flr: Hall. Lounge/Dining area on open plan. Dining kitch. Family rm. Utility rm. wc. 1st flr: 4 Bdrms. 1 with ensuite. Bathrm (CT band - F). Garden. Parking. 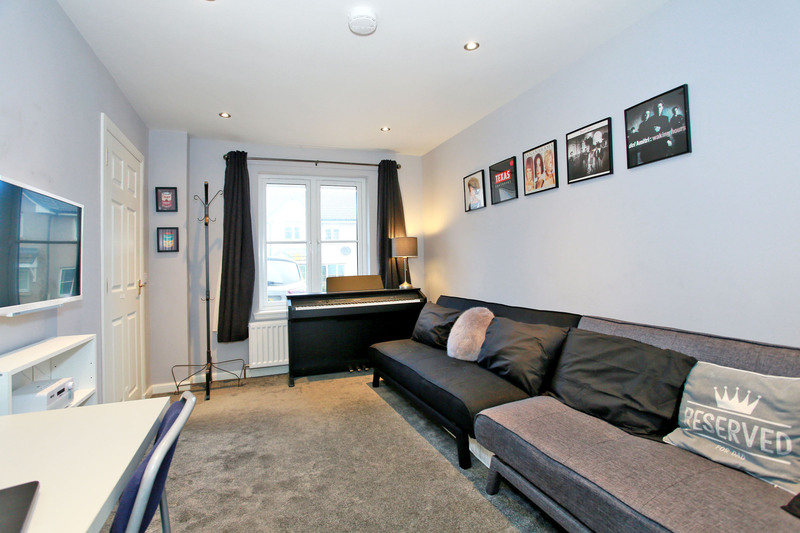 Price over £280,000 Entry by arr. Viewing contact solicitors. (EPC band - C). 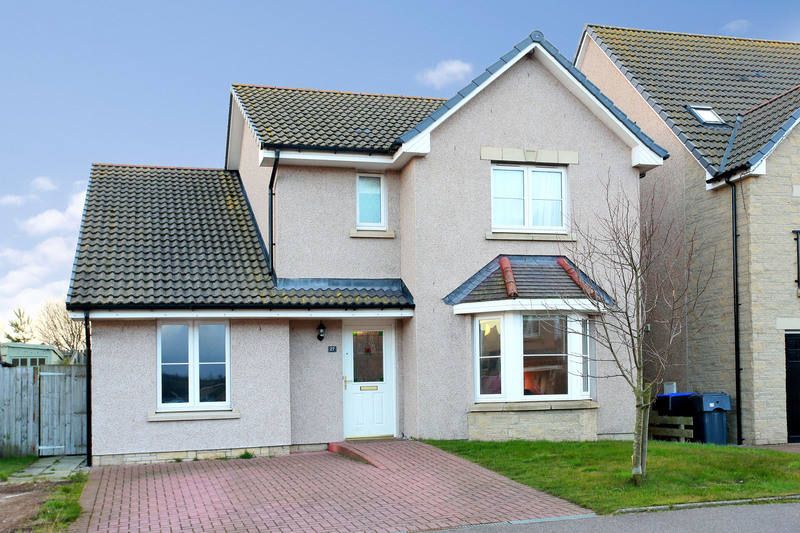 Located in the popular Braehead Estate of Stonehaven, we are delighted to offer for sale this two public/four bedroomed detached dwellinghouse with front and rear gardens. 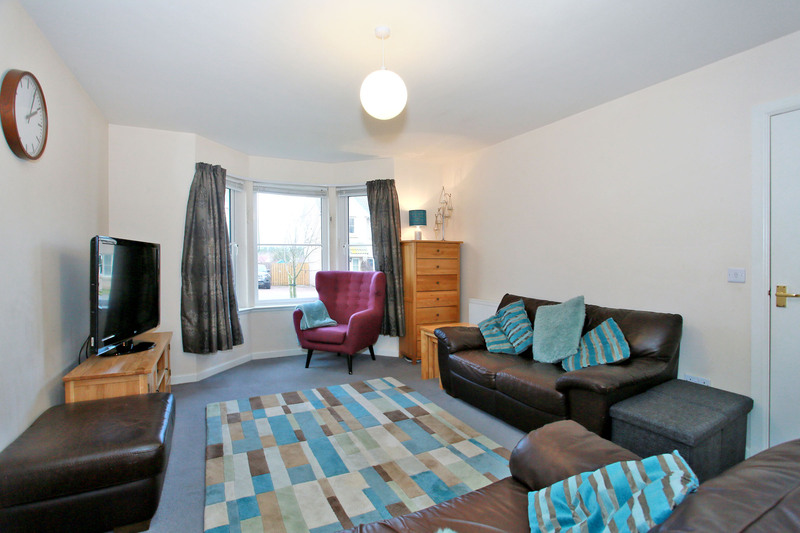 Spanning two floors, the property benefits from gas central heating and double glazing with neutral decor throughout. 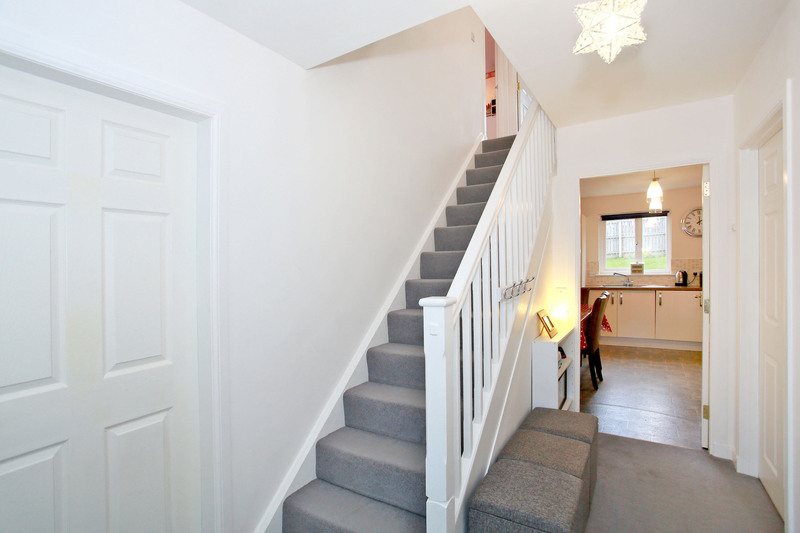 A welcoming entrance hallway gives access to the accommodation which comprises a bright lounge with bay window which is on open plan with the dining area (currently used as a further family space), a well equipped dining kitchen, utility room and w.c. A further versatile room, currently used a family room completes the ground floor accommodation. A master bedroom with en suite shower facilities, three further bedrooms and a family bathroom are all located on the first floor. Outside to the front, there is a garden and parking for two vehicles on the loc-bloc driveway. The fully enclosed rear garden is mainly laid to lawn with a paved patio area. 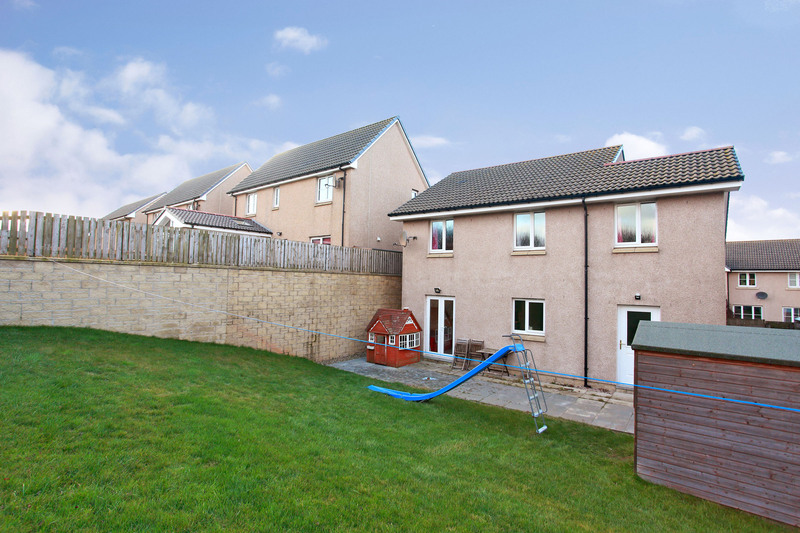 Viewing of this attractively presented family home is highly recommended to fully appreciate the accommodation on offer. Stonehaven is an attractive seaside town lying approximately 15 miles south of Aberdeen which boasts a picturesque working harbour and the famous ‘Auld Toon’ harbour area. Aberdeen is easily accessible by either road or rail. There are many amenities within the town itself including an 18 hole cliff top golf course, indoor and outdoor swimming pools and other leisure facilities and clubs. Primary schooling is available at three local primary schools, while secondary education is catered for at Mackie Academy. Entrance Hallway 12’0” x 7’0” [3.65m x 2.13m] approx. An exterior door leads into the welcoming entrance hallway which gives access to all ground floor accommodation. Wall mounted cupboard houses the consumer unit. Smoke detector. Lounge 15’0” x 11’9” [4.58m x 3.59m] approx. The well proportioned lounge with bay window overlooks the front of the property and offers ample space for a range of furniture. TV and telephone points. Neutral décor. Dining Area 12’6” x 8’10” [3.82m x 2.70m] approx. The dining area currently used as a further living space is on open plan with the lounge having ample space for a dining table and chairs. Patio doors give access to the rear garden. Dining Kitchen 13’1” x 9’7” [3.98m x 2.91m] approx. Situated to the rear of the property with a window overlooking the garden, the dining kitchen is fitted with a wide range of wall and base units in a modern finish, ample work surface, splashback tiling and a 1.5 bowl stainless steel sink. 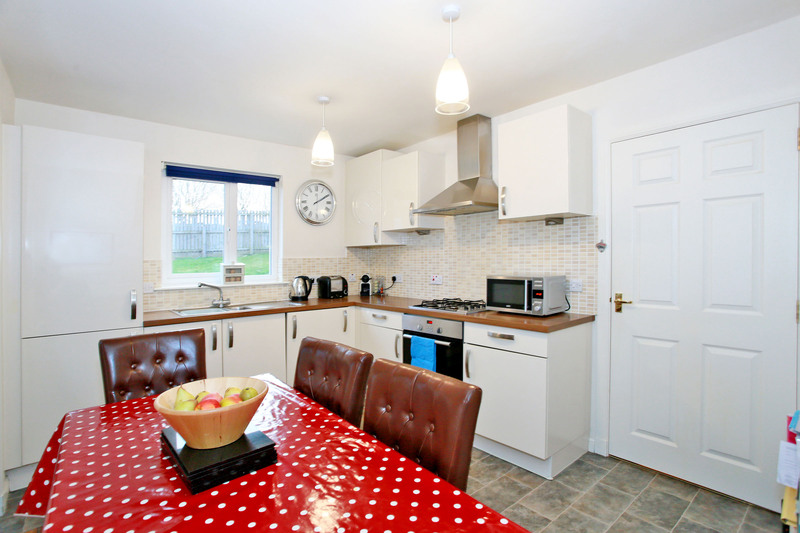 Gas hob with extractor hood, oven/grill, integrated dishwasher and fridge/freezer will remain. Ample space for a family dining table and chairs. Tile effect vinyl flooring. Useful understairs storage cupboard. Family Room 15’0” x 9’1” [4.58m x 2.78m] approx. 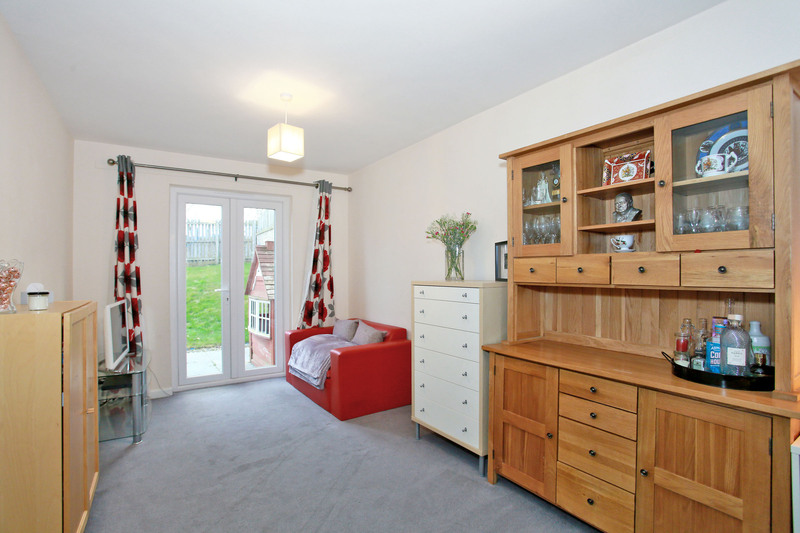 This versatile room can be utilised as a further public room, a children’s playroom, study or bedroom. Spotlights. Double wardrobe fitted with shelving provides additional storage. Large cupboard housing the boiler. Utility Room 7’8” x 6’2” [2.33m x 1.89m] approx. 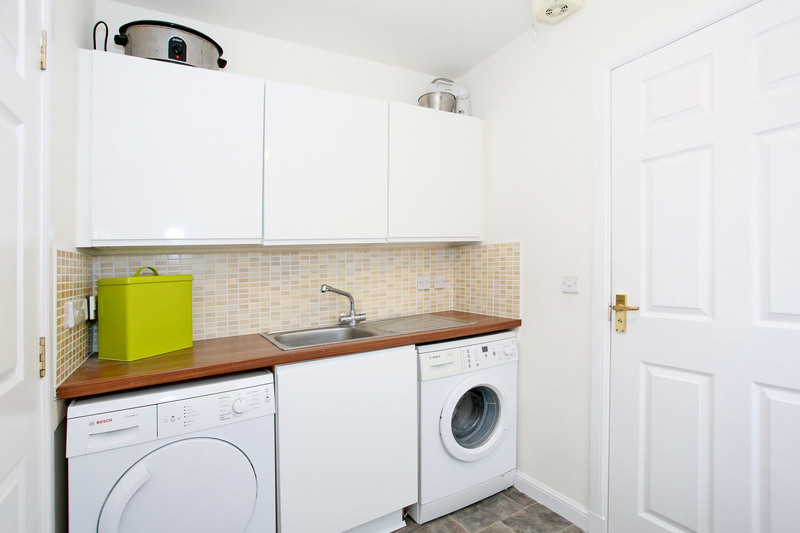 The utility room has a range of wall and base units incorporating a stainless steel sink unit with mixer tap and drainer. Space for free standing white goods with the washing machine and tumble dryer both available through separate negotiation. Exterior door gives access to the rear garden. Extractor fan. Vinyl flooring. 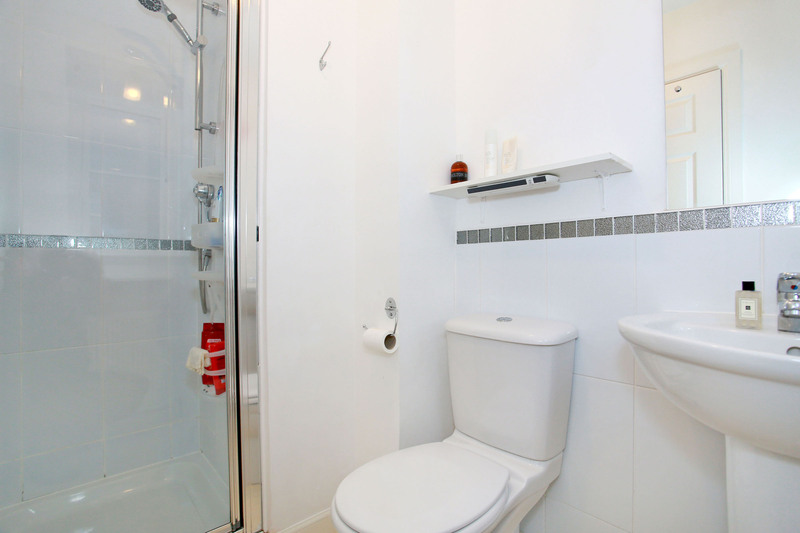 W.C. Accessed off the utility room, the w.c. comprises of a white w.c. and wash hand basin with mirror. Opaque window allows natural light into the room. Vinyl flooring. Upper Landing From the entrance hallway the carpeted staircase with attractive painted wooden balustrade and banister leads to the upper landing and all remaining accommodation. Access hatch leads to the loft space. Hall cupboard with shelving also houses the hot water tank. Master Bedroom and En Suite 14’2” x 11’10” [4.33m x 3.60m] approx. 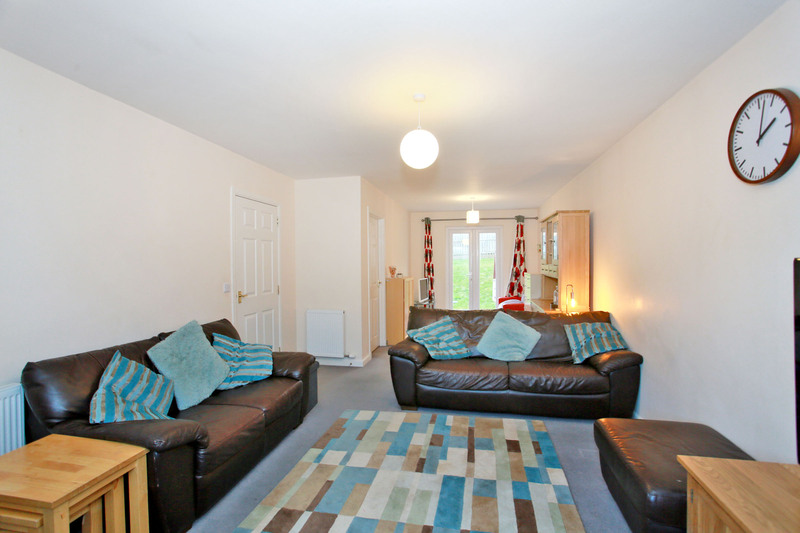 This well proportioned double bedroom overlooks the front of the property. Fitted double wardrobes with sliding mirrored doors. Ample space for free standing furniture. Telephone point. The En Suite Shower Room with opaque window comprises a w.c., wash hand basin and a tiled shower enclosure housing a mains shower. Extractor. Shelving. Bedroom 2 11’1” x 9’1” [3.39m x 2.77m] approx. 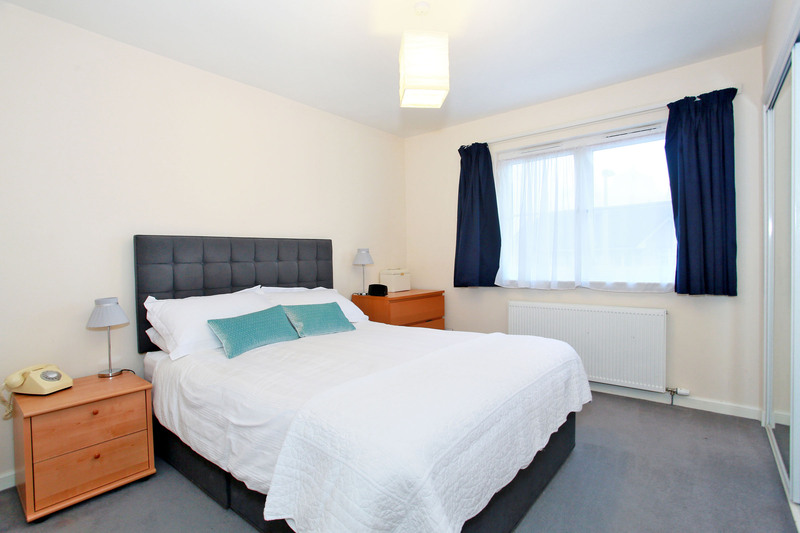 The second double bedroom is located to the rear of the property. Fitted wardrobe with sliding mirrored doors. Space for free standing furniture. Bedroom 3 10’10” x 9’1” [3.30m x 2.77m] approx. 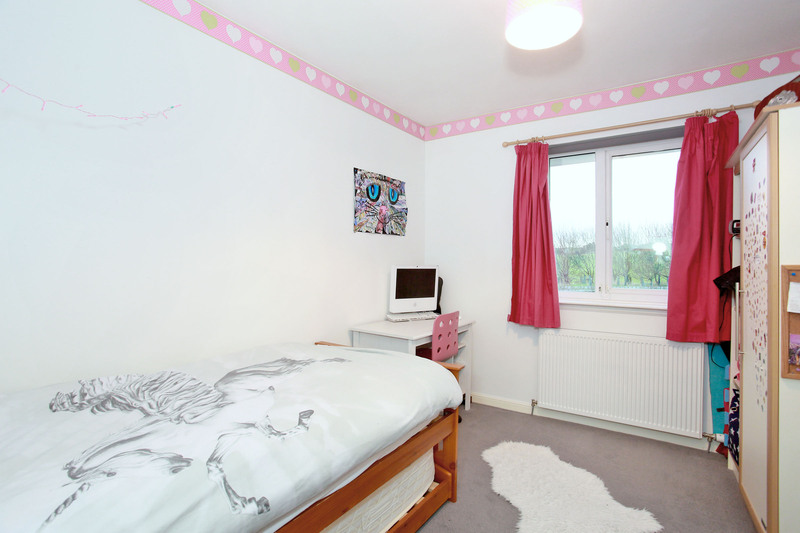 The third double bedroom overlooks the rear of the property. Bedroom 4/Study 9’6” x 7’3” [2.89m x 2.20m] approx. 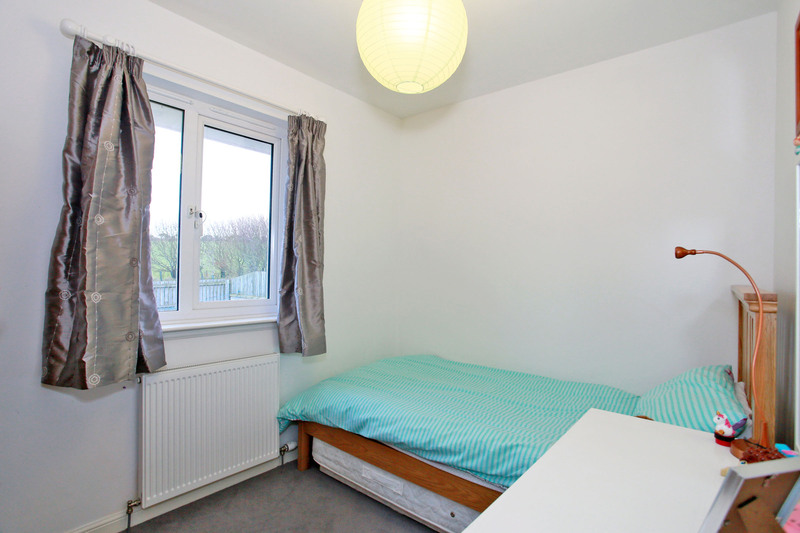 Currently utilised as a fourth bedroom is a single bedroom with a window overlooking the rear. Family Bathroom 8’2” x 6’9” [2.49m x 2.05m] approx. 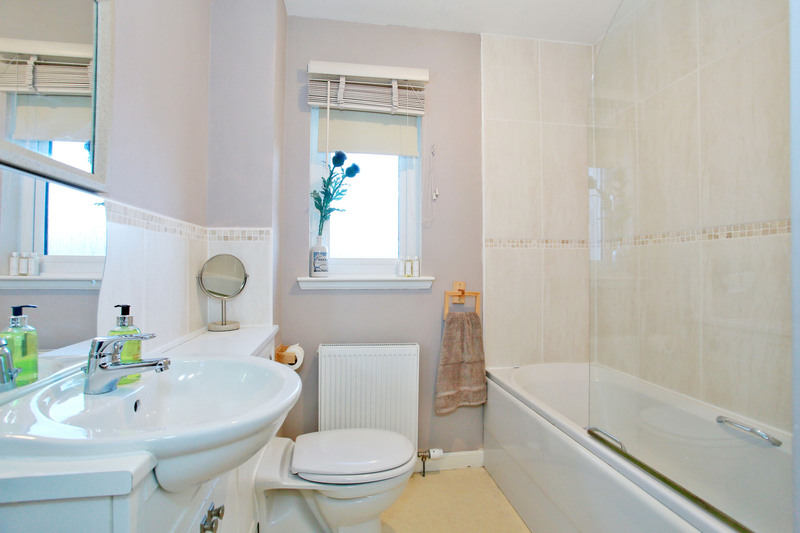 The partially tiled family bathroom is fitted with a suite comprising w.c. and wash hand basin set into a vanity unit and bath with mains shower installed over. Opaque window and vinyl flooring. Extractor fan. Large storage cupboard. Outside To the front of the property there is a loc-bloc driveway affording parking for two vehicles, a lawn and gated access to the rear. 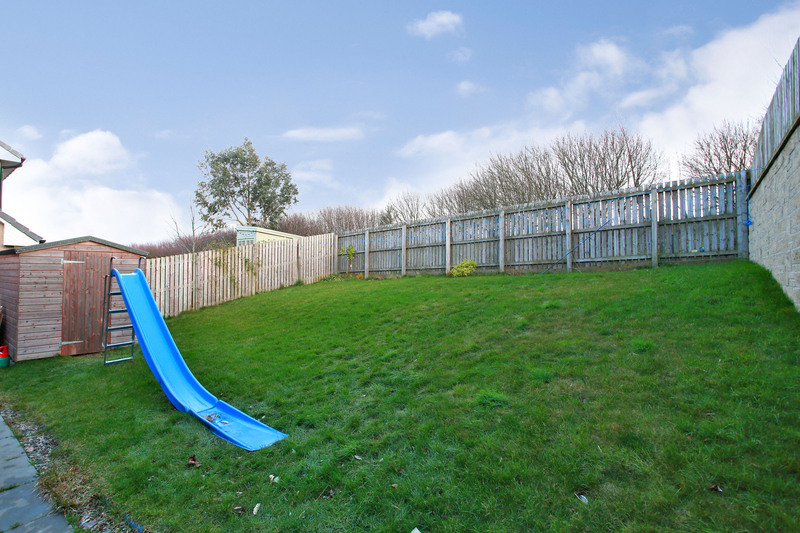 The fully enclosed rear garden is mainly laid to lawn with a paved patio area. Timber garden shed and children's playhouse to remain. Notes Gas central heating. Double glazing. EPC=C. To be sold inclusive of all floor coverings, light fittings and blinds. 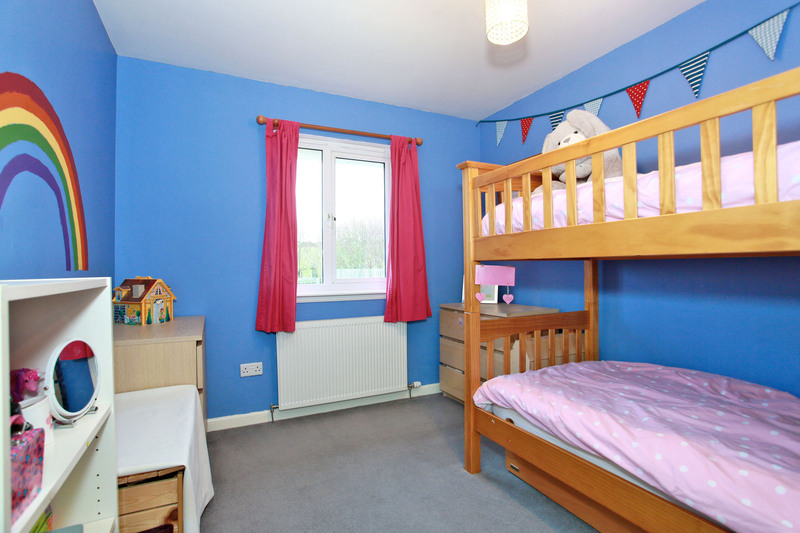 NB: curtains will be removed. 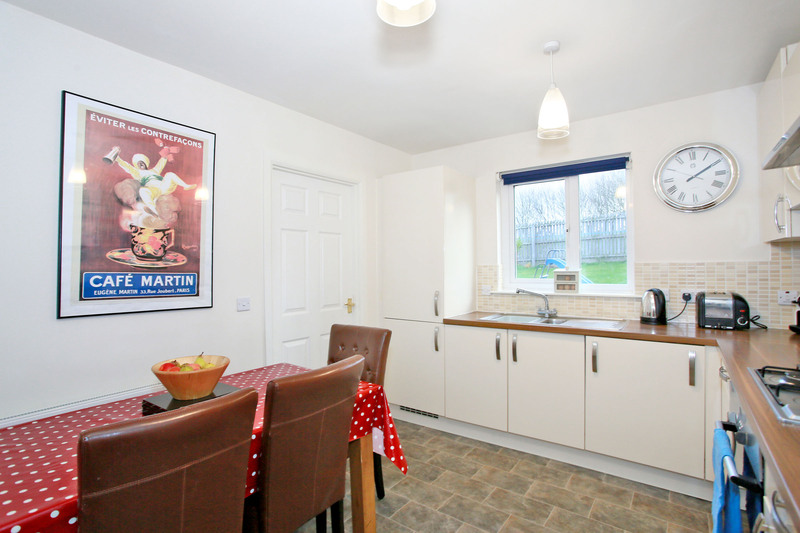 Free standing washing machine and tumble dryer may be available through separate negotiation. Directions From the direction of Aberdeen, travel south on the A92 dual carriageway taking the exit signposted A92 coastal road for Stonehaven. Turn first left and follow the road down turning right at the signpost for Braehead. Turn left into Braehead Crescent and then take immediate first right into Braehead Drive. Follow this road and Number 27 is located on the right hand side as indicated by our For Sale board.